Has hunger ever caused you to feel like a princess who's also a little spacey—aka, a "Sprincess"? 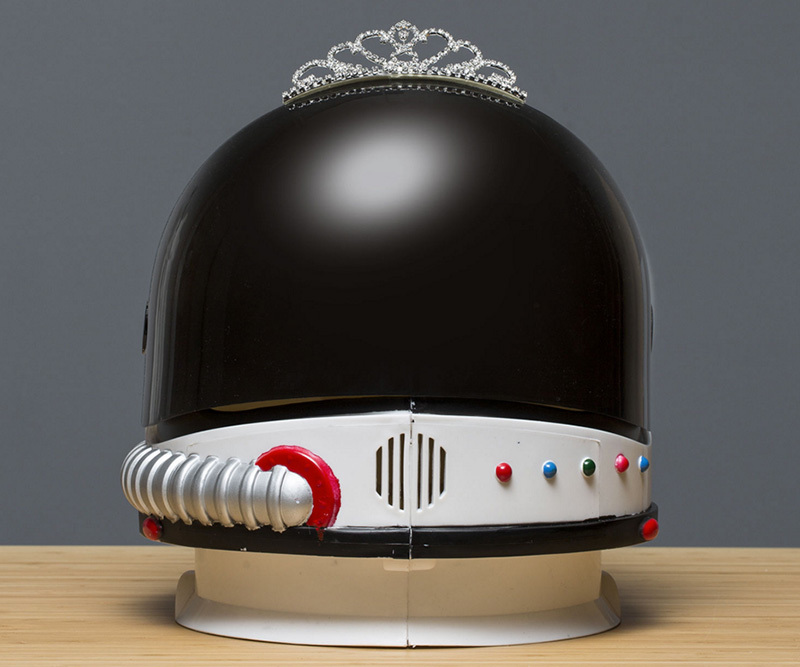 You need an Astro Tiara … or maybe just a Snickers Crisper. You can buy the former on eBay, anyway, along with several other ridiculous products that Snickers and BBDO have dreamed up for people suffering from the kind of linguistic-mashup hunger symptoms introduced in the Snickers Crisper campaign. This new "Hunger Innovations" campaign isn't limited to eBay, either. Snickers is also imitating your favorite home shopping channel with a faux infomercial, and taking advantage of autoplaying video in your Facebook news feed, to promote the conveniently bite-sized two-per-pack Crisper bars. First, the campaign's digital video, which launched today, mines the rich depths of America's shop-from-home industry to demonstrate how a few of the newly discovered hunger maladies might wreak havoc on your day. But wait … this new brand of hunger pang doesn't just affect sexually frustrated home-shopping hosts! BBDO also produced two videos designed to take advantage of Facebook's muted autoplay function. With no sound, the clips look like music videos from a pop singer and a cartoonish metal band, respectively. But viewers curious enough to tap each video as it plays will be in for a couple of epic surprises. Didn't expect that, did you? The next one is even more jarring. The new work serves as an extension of the Crisper campaign that launched along with the product in January. The first spots marked a shift in BBDO's focus from the visually oriented gags of the "Brady Bunch" spot and similar ad/stunts to a message more closely tied to clever wordplay. Meanwhile, the "You're Not You When You're Hungry" campaign continues for the flagship Snickers brand, and so far in 2016 has included the the William Dafoe as Marilyn Monroe Super Bowl spot and the world's most sloppily Photoshopped Sports Illustrated Swimsuit Issue back cover. Title: "Hunger Innovations," "Hungry Singers"
Brand Manager, SNICKERS® Brand: Michael Italia Sr.